Pooja Bhatt began the countdown to father Mahesh Bhatt's 70th birthday a week ahead of the big day. Pooja, who really wants to make it special for her filmmaker father, shared a throwback photo on Instagram from the family album. 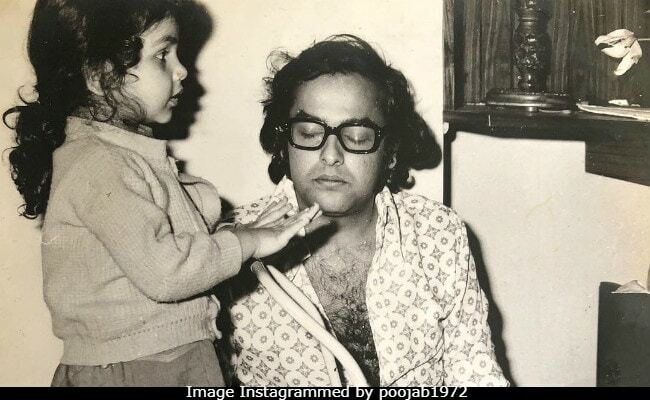 In the photo, Pooja features with a much younger version of Mahesh Bhatt from when she was just a little kid. In the caption, Pooja revealed that this is just the beginning of a series of blasts from the past that she's going to share till Mahesh Bhatt's birthday on September 20. Which means, many more to come! Yay! "Seven days to my father's 70'th birthday... seven pictures from the family album, one each day, leading up to the big day (Sept 20th)," reads Pooja's caption. 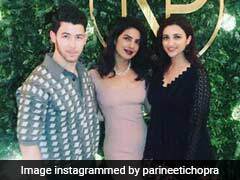 Meanwhile, Pooja's sister Shaheen Bhatt is all heart-eyed to have spotted the throwback gold on Instagram. Pooja Bhatt is the eldest of Mahesh Bhatt's children with his first wife Kiran (born as Loraine Bright). Alia and Shaheen Bhatt are his daughters with actress Soni Razdan. For those who follow Pooja Bhatt's Instagram closely will know that the actress is a big fan of throwback photos. She recently Instagrammed a priceless photo with Shah Rukh Khan from the sets of 1996 film Chaahat and wrote: "I'll cover you." Don't worry, the photo will explain the caption for you. Pooja also shared a series of throwback photos after Dil Hai Ki Manta Nahi clocked 27 years. Pooja Bhatt was introduced in Bollywood with 1990's Daddy, which was helmed by father Mahesh Bhatt, after which she featured in films such as Dil Hai Ki Manta Nahin and Sadak. She debuted as a director with 2003 film Paap. Pooja Bhatt is currently working on the sequel of Sadak.